Ladies short sleeve Zipper dress by Rival . 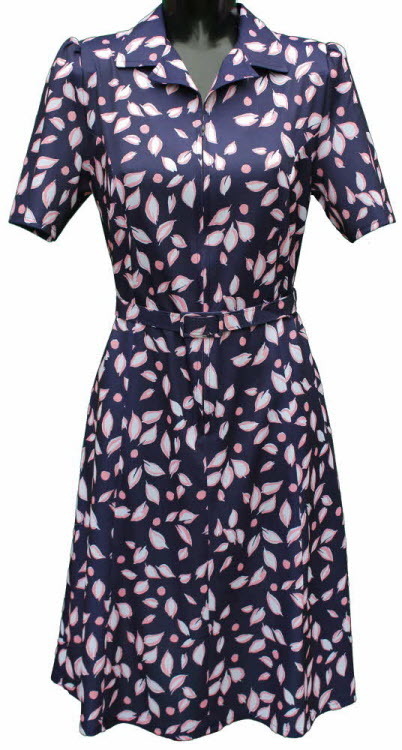 Navy with Pink leaf print .44"
The best eCommerce software by ShopFactory powers P619. All-in one eCommerce and shopping cart software.